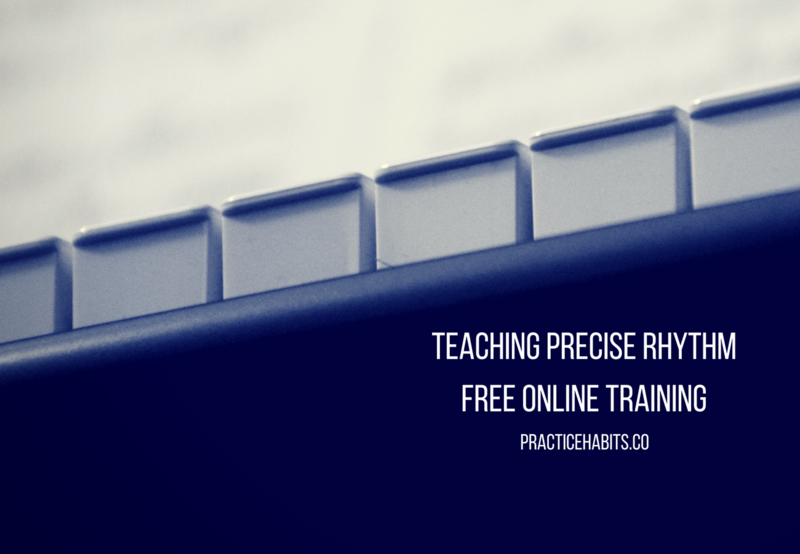 Teaching precise rhythm isn’t the most exhilarating thing to teach, but it’s essential. Especially, if we want our students to become well-rounded musicians. The following video is from a free online training that I gave on the topic. 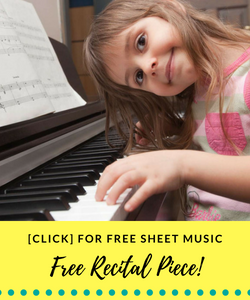 These are simple and straightforward strategies designed to help you teach your students how to play with precise rhythm. This was really clear thank you – encouraging as I do most of this but good revision to check up and think again – question – any tips on teaching trills eg 5 semiquavers into 1 ( sorry english here) so think thats 5 x 16th note into a quaternote or how to feel a group of 7? Thanks for the comment/question, Valerie! Consider having your students say a five-syllable word, such as “hip-po-po-ta-mus” during the quintuplet (5 into 1). 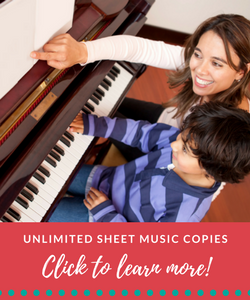 You might also have students count the beat followed by a four-syllable word, for example, “1 miss-i-ssi-ppi, 2 miss-i-ssi-ppi” etc. In terms of teaching students to feel a group of 7, perhaps you create a seven-syllable phrase, such as “I-Love-Hip-po-po-ta-mus.” That’s the best I’ve got on the group of 7 🙂 I hope all of this helps!